This course will present the causes, symptoms and issues related to teaching children with autism. Language Intervention issues are examined as to their significance in understanding and teaching children with autism. Parenting issues and concerns are addressed in order to help professionals work with parents as their child experiences the school environment. 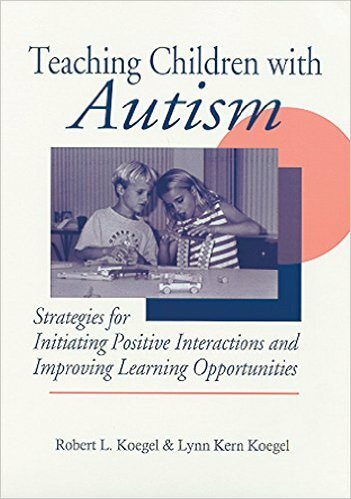 Participants will research and develop writings and lessons to apply the books concepts to the classroom and school environment for improving the learning experience of children with autism challenges. Educators will learn about the latest theories and interventions about teaching children with autism and their language and communication challenges. Teachers will be presented with concepts of overselective responding, descriptions and the spontaneous communicative skills of higher-functioning children with autism. Educators will examine parent education and stress issues, family support and how to develop friendships with mainstream children. Students will research the latest techniques in teaching children with autism and examine models for relationships between education professionals and parents. Teachers will develop lessons, activities and writings that help them understand and work with autistic children in classrooms and schools.